Guangzhou, with a population of six million (3.5m in the urban area), was in many ways China's most open city when Deng Xiaoping's economic reforms were introduced in the late 1970s. Although it is now being surpassed by the economic dynamism of Shanghai, the city has experienced an average economic growth of 14.8 per cent since 1979 a clear five percentage points above the national average. Its role as a flag-ship of economic reform was re-emphasised by Deng's landmark visit to the city during his 'southern tour' of 1992. Decades of exposure to the advertising spillover from Hong Kong and rap-idly improving wholesale distribution networks have helped create some of the most sophisticated and cosmopolitan consumers in China. Desire for riches is backed up by the skills fostered by Guangzhou's 60-plus colleges and universities. Its 1996 GDP per capita was the fifth highest in the country. Kong industrial plant since the 1970s, an influx which was accompanied by large-scale infrastructural and real estate in-vestment. More than just a source of cheaper labour, multinationals from the Special Administrative Region see Guangzhou as a convenient gateway to the Chinese market. It is a particularly attractive base for consumer goods companies, including Procter & Gamble and Colgate Palmolive. Other prominent investors in the city include San Miguel, Avon, PepsiCo, Amway, Wrigley, ICI and Kellog. Some say the golden age of Guangzhou is nearing an end. Increasing land, labour and taxation costs have caused the potential investors to think twice before moving to the city. Property speculation is making life increasingly difficult for planners. There have also been some high-profile investment setbacks, such as the loss-making Peugeot car joint venture. major contracts in recent years. An ambitious 60km subway system is being constructed in the city in addition to 47km of sub-urban elevated railways. The second Guangzhou-to-Beijing railway line was completed in 1995 and the city will also be linked with Huizhou, Meizhou and Shantou. A railway connection to Zhuhai will be in place by the year 2000. Guangzhou's port is one of the largest in southern China, handling annual traffic of 73m tonnes. Huangpu has six wharves with a total handling capacity of 100m tonnes a year. There are also plans to invest US$360m in upgrading the port at Nansha. The new US$1.45bn airport should be in operation in 1998. The subway construction project is, in the short-term, exacerbating traffic chaos in the city. There is also a worrying rise in crime, both opportunistic and organised, and several employees of foreign firms have been murdered in the past couple of years. The city has a multi-site economic and trade development zone, established in 1984. The original 9.6 sq km zone in eastern Huangpu is now full but extensions have increased the available area to 50 sq km. The Nansha ETDZ, opened in 1994, is located at Panyu in the south of the city and equidistant from Guangzhou, Zhuhai and Hong Kong. The port at Panyu is currently being upgraded. Closer to the city centre is the Tianhe High Technology Industrial Zone. Established in 1988, this zone seeks to attract investment from electronic, electrical engineering and chemical firms. Guangzhou also has its own bonded zone. Things to do Guangzhou, with its heavy traffic and pollution, can seem uninviting to the visitor but its vibrancy and many attractions outweigh the drawbacks. The Qingping market on the bustling waterfront of the Pearl River is one of the most exotic markets in China, selling a startling array of animals for immediate consumption. While the sale of rarer animals such as pangolins is now less overt, the market still offers rich pickings for purchasers of fish, deer, turtles, owls, cats and dogs. Different parts of the market are given over to dried medicines, herbs, pet insects, songbirds and al fresco cafes. The 57-metre-high Flower Pagoda is Guangzhou's main religious building. There has been a pagoda on the site since 537AD, built to house holy relics brought back from India. Almost as old is the Huaisheng Mosque which claims the world's oldest minaret outside Mecca, dating from the seventh century. Guangzhou also contains a relic fromthe earliest days of communism in China in the Peasant Movement Training Institute, where Sun Yatsen gave lectures to the likes of Mao Zedong and Zhou Enlai. Shamian Island is the old European quarter of the city. With European-style villas, churches and gardens it retains a slightly more peaceful air than the bustling streets over the water. There are regular karaoke cruises along river, while the south bank offers a glimpse into historical Guangzhou which, like many Chinese cities, was originally just a collection of villages. The Orchid Garden in the north of the city offers another respite from the bustle and noise. Nearby is a slice of Chinese kitsch in the Journey to the West theme park located in the extensive Yuexiu Park. Guangzhou offers one of the widest culinary experiences in the whole of China. Guangzhou on Wenchang Nanlu is the most famous restaurant in the city, with specialities including fragrant oil chicken and crisp-skinned pork. Chaozhou-style goose, Maotai chicken and fish with pine nuts are recommended dishes at the Nanyuan in Qianjin Lu. Panxi in Longjin Lu, which was a tea house of bad repute, now serves a fine selection of dim sum. Changdi Lu contains a cluster of upmarket seafood restaurants: Flourishing Court which specialises in fried scal lops in taro is one of the more reason ably-priced, while Sheng Ji is among the most extravagant. She Canguan on Jianlu Lu is the city's most famous snake restaurant, while vegetarians can. sample gluten and beancurd 'roast pork' at the Caigenxiang on Zhongshan Lu. Of Guangzhou's many nightclubs, the Hill Bar opposite the Garden Hotel has become a favourite among expatriates. This profile of Guangzhou was extracted from China Business Handbook which will be published in December 1997, price US$40. 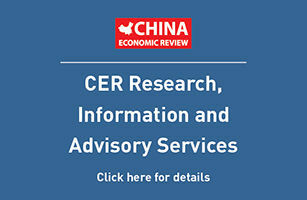 The 360-page publication is a province-by-province guide to the regional economies of China, with additional information on doing business, investment incentives and travel tips. For further information, contact the circulation department of Alain Charles Publishing on (44) 171 834 7676.